July 26, 1937: Watching the Stars Eat. 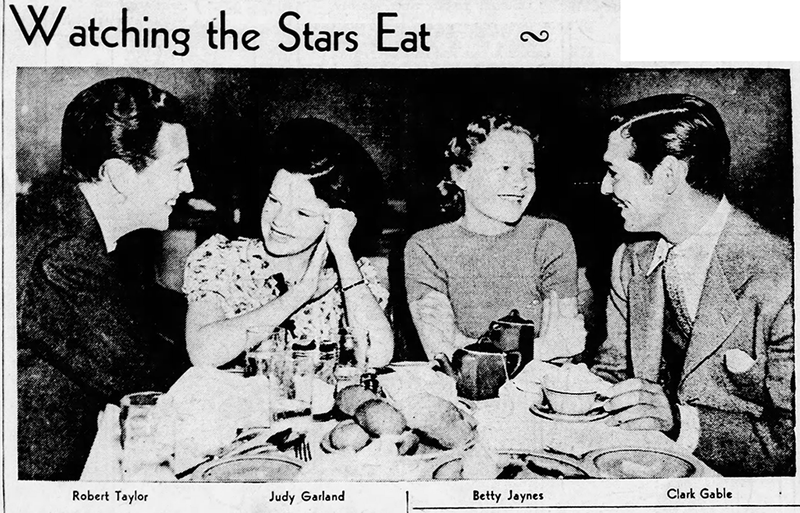 Judy with Robert Taylor, Betty Jaynes, and Clark Gable. Also on this date, Judy’s eighth appearance on Frank Morgan’s limited series of 15-minute shows. 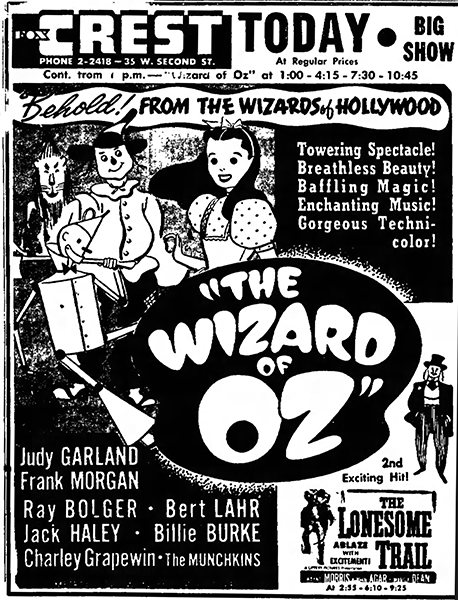 Little is known about these shows outside of what the newspapers tell us, which do not include the actual contents, just schedule listings. No recordings are known to survive. 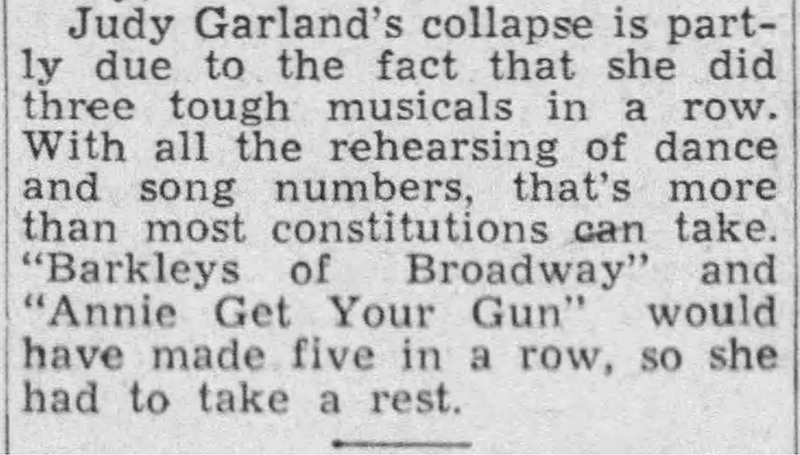 On this day, MGM noted that the company of Babes on Broadway was shut down for the day due to Judy being ill and nothing could be filmed without her. The next day Judy, David, her mother, and stepfather went to Las Vegas. 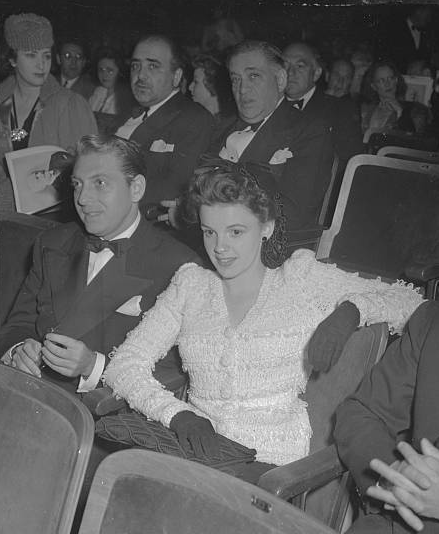 Photos: Judy and David Rose in 1941; Judy and her mom also in 1941. 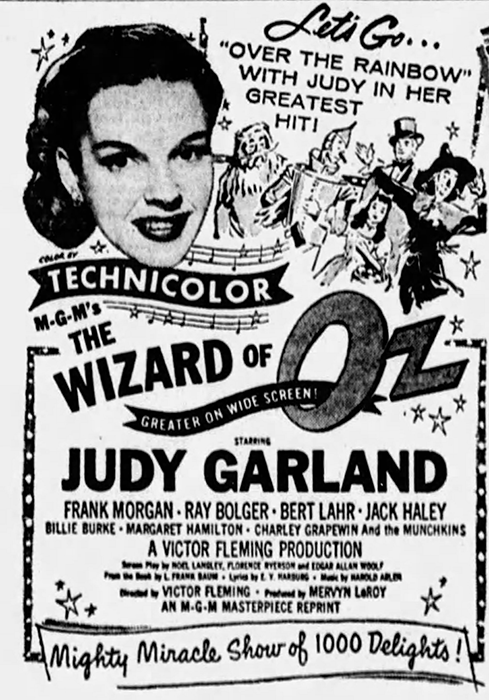 “That Old Black Magic” had been written by Johnny Mercer (lyrics) and Harold Arlen (music). 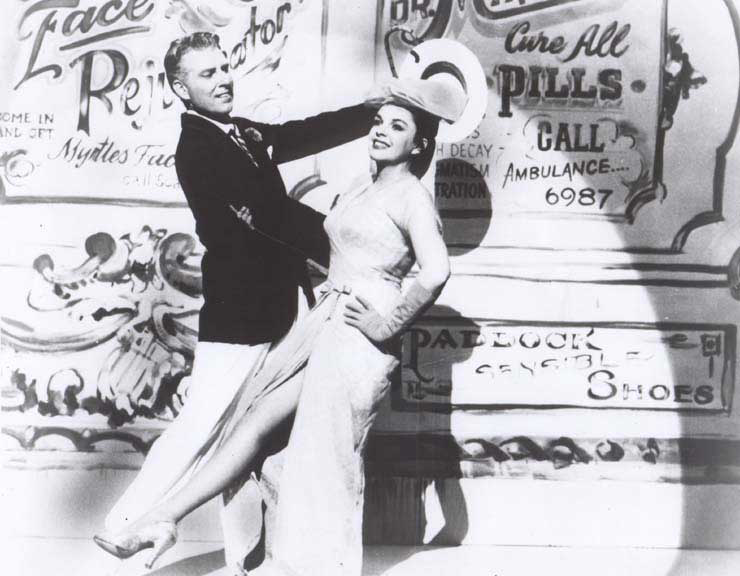 Mercer wrote the lyrics about Judy, whom he was in love with at the time. It’s unclear if Judy ever knew this fact or not. I like to think that she did. 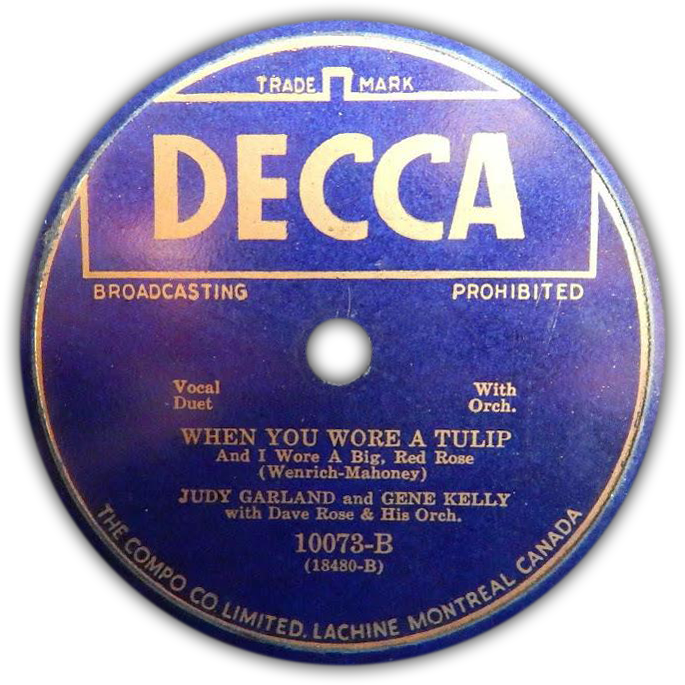 Check out The Judy Garland Online Discography’s “Decca Records” section for details about all of Judy’s Decca recordings and albums. Decca record image provided by Rick Smith. Thanks, Rick! 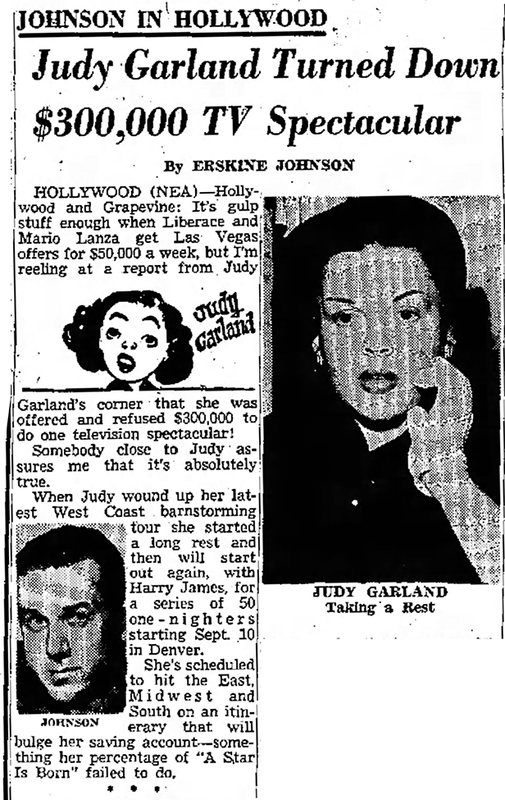 July 26, 1948: Columnist Bob Thomas wisely notes that Judy’s recent health issues were due to being overworked. 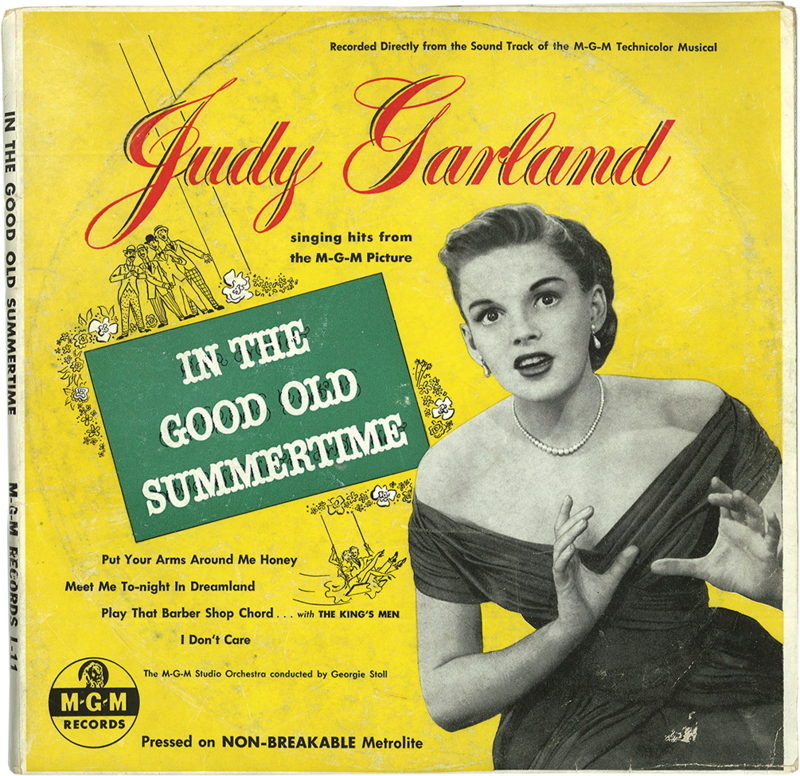 Check out The Judy Garland Online Discography’s pages on the soundtrack to In The Good Old Summertime here. 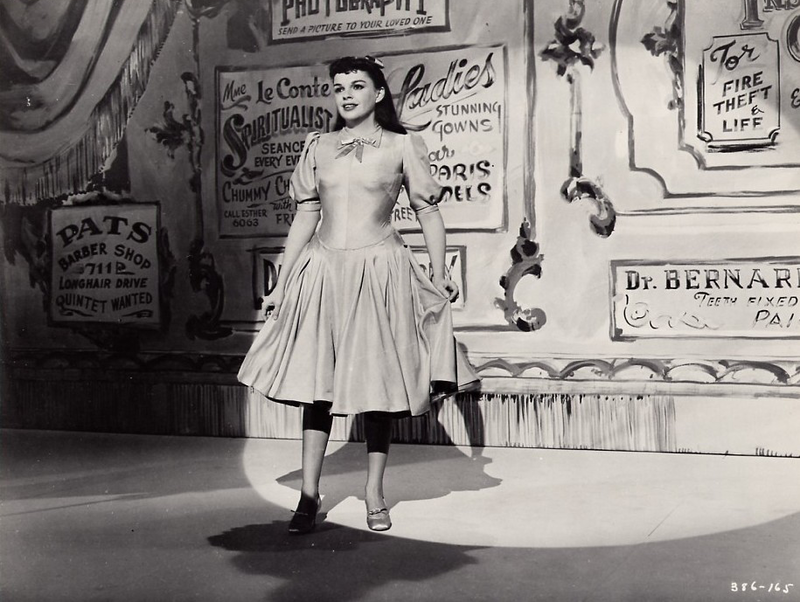 July 26, 1954: Judy rehearsed and recorded parts of the “Born In A Trunk” number for A Star Is Born, specifically “When My Sugar Walks Down The Street” and “I’ll Get By.” From 4 – 5 p.m. she rehearsed, then recorded from 5 – 5:25 p.m. then rehearsed some more from 5:25 – 6 p.m. Check out The Judy Room’s Extensive Spotlight on A Star Is Born” here. 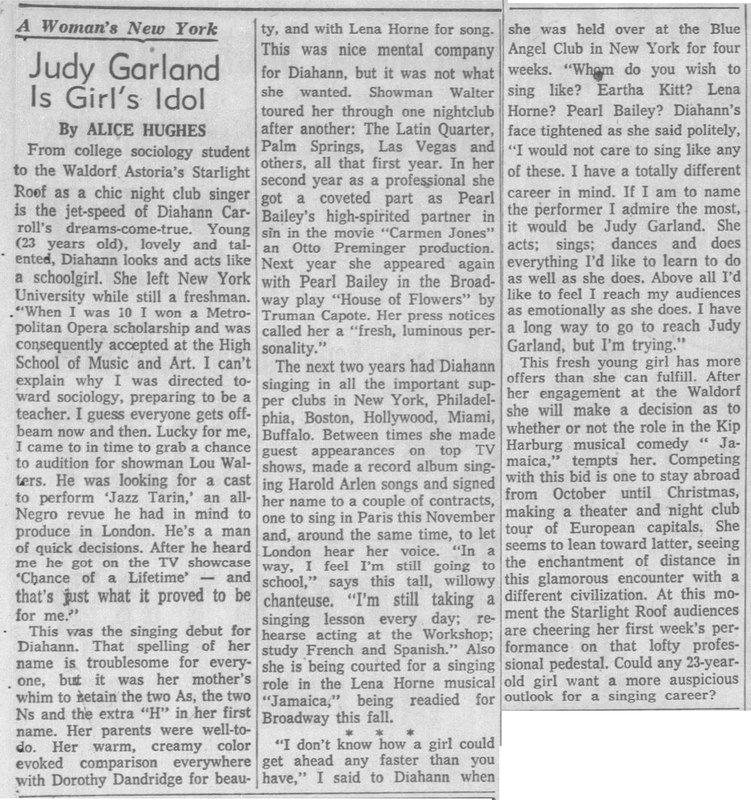 July 26, 1955: Erksine Johnson reported on the fact that Judy apparently turned down an offer to appear on TV preferring to tour with her show, “The Judy Garland Show.” However, it was around this same time that Judy did enter into an agreement with CBS-TV which resulted in her first TV special which premiered on September 24, 1955. 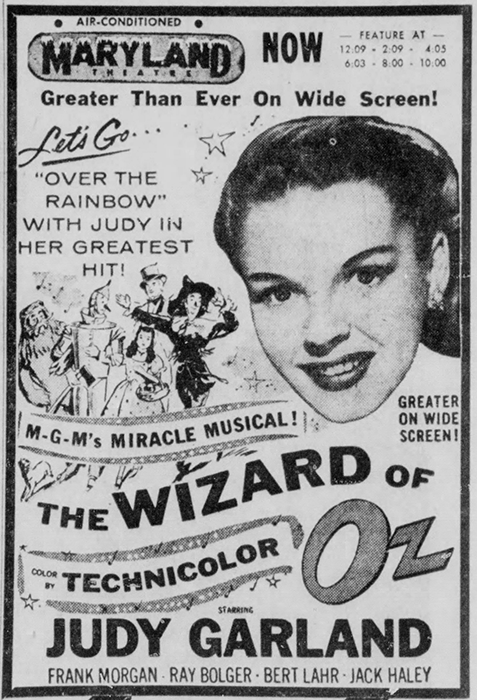 Meanwhile, The Wizard of Oz was still enjoying brisk business for its second theatrical rerelease. 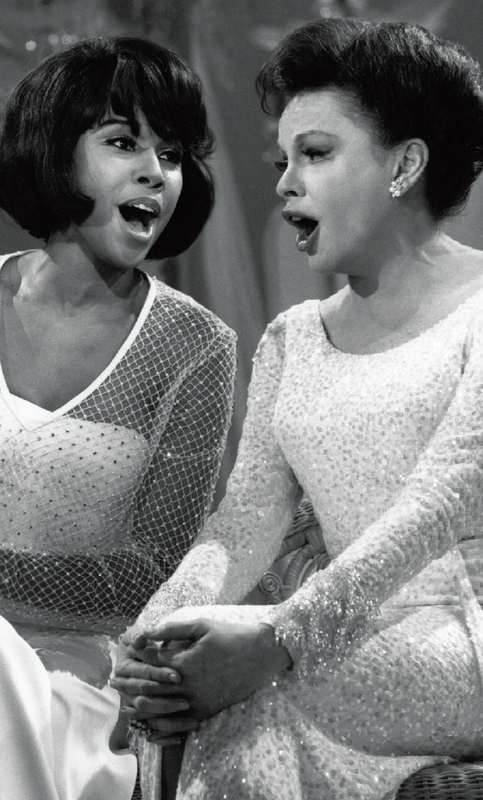 July 26, 1957: The young, up-and-coming singer Diahann Carroll says that Judy is her idol. 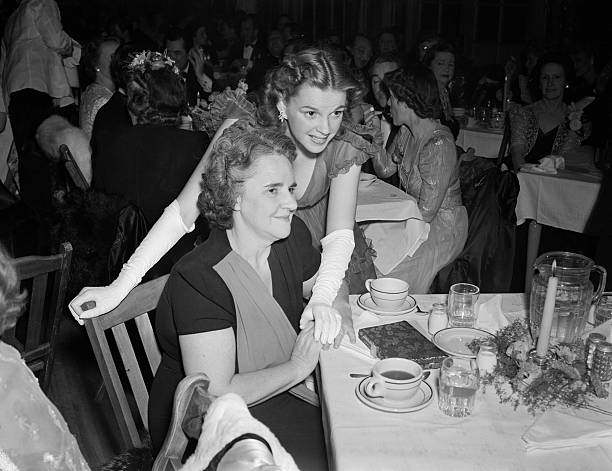 Carroll went on to enjoy a fantastic career, including appearing with Judy on Judy’s TV series as Judy’s guest on Episode Twenty-One taped on January 31, 1964, and aired on February 16, 1964. 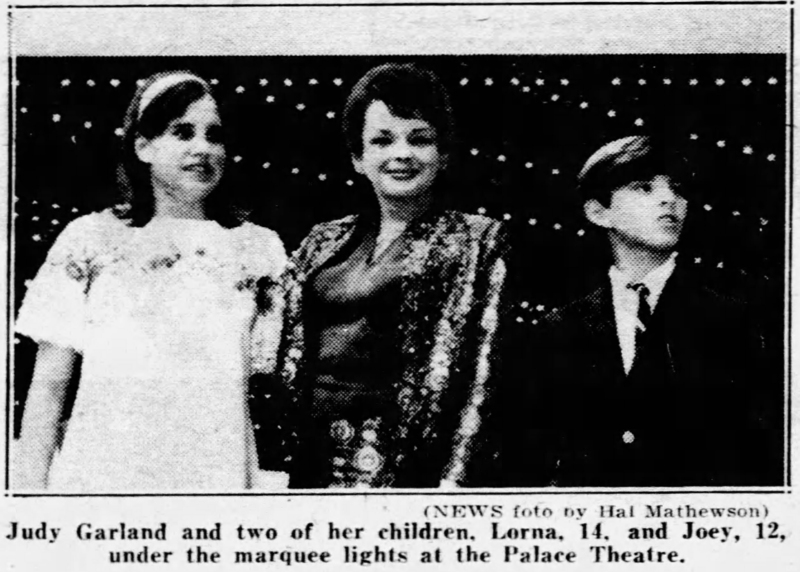 July 26, 1967: Judy and kids Lorna and Joe Luft posed under the marquee at The Palace Theater. 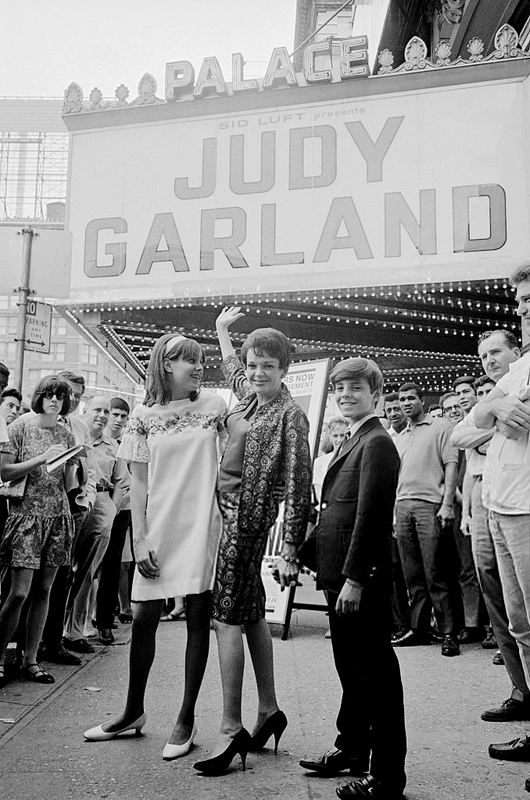 Judy opened her third, and final, engagement at the theater on July 31, 1967.